This exhibit is free with the purchase of an Alcatraz ticket. Interested in volunteering? Visit our Future IDs volunteer page to learn more. Future IDs at Alcatraz is a yearlong project, exhibition, and series of monthly public programs opening February 16, 2019 in the New Industries Building on Alcatraz Island. Since November 2018, the exhibition space has been functioning as an artist studio open to Alcatraz visitors. The installation features ID-inspired artworks created by and with individuals who have conviction histories as they conceive and develop a vision for a future self. In stark contrast to prison-issued IDs, these artworks represent individual stories of transformation. Social practice artist Gregory Sale leads a team that translates criminal justice reform efforts into a visual language to shift thinking about rehabilitation, reentry, and reintegration. Working closely with Dr. Luis Garcia, Kirn Kim, Ryan Lo, Aaron Mercado, LaVell Baylor, Dominique Bell, and Sabrina Reid, Sale and many collaborators led artmaking workshops and programs across California, both inside prisons and in communities. This project on Alcatraz is presented in partnership with the National Park Service and the Golden Gate National Parks Conservancy through the Art in the Parks program. It engages Alcatraz's layered history as an iconic federal prison, birthplace of the Native American Red Power Movement, national park, and International Site of Conscience. Together, the exhibition and public programs function as a platform for conversation through performances and civic dialogue experiments that are co-curated with community partners. Future IDs at Alcatraz invites reflection on the criminal justice system, second chances, and individual freedoms in the United States. Today, this country has 5% of the world's population and 25% of the world's incarcerated people. More than 95% will eventually be released. Of those incarcerated, people living below the poverty line and people of color are disproportionately represented. Though none of the Future IDs participants were incarcerated on Alcatraz, individuals returning to society – both then and now – face an almost insurmountable stigma of having a history of incarceration, contributing to the consistently high rates of recidivism. Throughout the yearlong project, the Future IDs team will host public programs, continue to offer artmaking workshops, accept new contributions of ID-inspired artworks, and evolve the installation to amplify the voices and visions of individuals returning to everyday life after incarceration. To learn more about the lead artist and the Future IDs project, please visit GregorySaleArt.com or FutureIDs.Com. Where: The exhibition is located in the New Industries Building on Alcatraz Island. Entry is free with the purchase of an Alcatraz ticket. The ferry leaves from Pier 33 Alcatraz Landing. To check availability and reserve a ticket, please visit AlcatrazCruises.com. Hours and Dates: Open daily 11am - 4pm, February 16, 2019 - October 19, 2019. Parking: Public transportation is highly recommended. There is limited parking at Pier 33 Alcatraz Landing. Street parking and private parking garages and lots are available along the Embarcadero. Public transportation: The following SF Municipal Railway (MUNI) bus lines stop within three blocks of Pier 33 Alcatraz Landing: F Line Historic Streetcar (Bay Street stop), #8 Bayshore (Kearny Street & North Point stop), #82x Levi Plaza Express (Levi Plaza, Sansome & Filbert Street stop). The exhibition features artworks by Aaron Mercado, Adrielle Pittman, Andrew Winn, Angel Gutierrez, Anthony Chavez, Arnoldo Trevino, Brandon Hein, Bruce Fowler, Candice Price, Cirese LaBerge-Bader, Cuong Tran, Daniel Gamez, Darlene Frontuto, Dominique Bell, Donald G. Sanchez, Dr. Luis Garcia, Eric Bergen, Emiliano Lopez, Guss Lumumba Edwards, Gustavo Tafolla, J Antonio Morales, Jarred Williams, Jennifer Leahy, Joe Frye, John Winkleman, Jonathan C. Marin, Jonathan Daniel Melendez, Jonathon Miller, Jonté Campbell, Juan Sanchez, Kirn Kim, LaVell Baylor, Lily Gonzalez, Michael Griego, Phillip E. Lester, René Hernández, Ruben Radillo, Sabrina Reid, Stan Bey, Weston Scott Kruger, William Wang, and Yahniie Bridges. This ongoing project is generously supported by Creative Capital Foundation, A Blade of Grass/David Rockefeller Fund, SPArt, Art Matters, Herberger Institute for Design and the Arts at Arizona State University, Kenneth Rainin Foundation, and individual contributors. 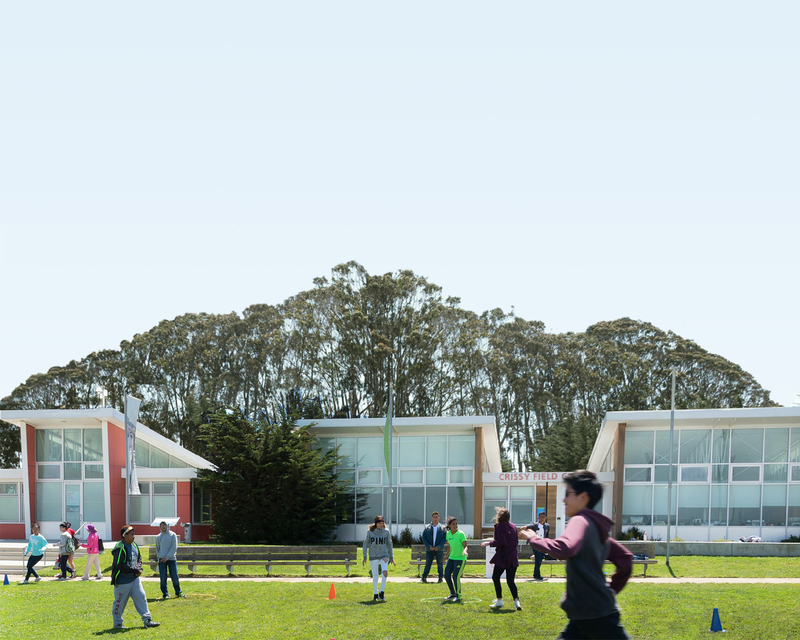 Future IDs was developed during artist residencies at Headlands Center for the Arts, Montalvo Arts Center, The Bunny House, and ModNomad Studio, and received in-kind support from Olson Visual and SRU Studios. Jessica Tully, Jamee Crusan, Sara Daleiden, Ben Leon, Jennifer Nix, and co-curators Sara Cochran and Chris Sicat play key supportive roles as artistic and conceptual collaborators. Special thanks to Alexandra Shabtai, Brent Bolthouse, Scott Budnick, Carol Newborg, Emma Hughes, Arden Burstein, Chelsi Rossi, Eric Montgomery, Leslie Lakes, Deanna Van Buren, Eric Susser, Jenny Pizer, Doreena Wong, Chris Santa Maria, Johanna Taylor, Ruby Lerner, Anne Bray, Roberto Bedoya, Eliza Gregory, and many others. Future IDs at Alcatraz emerged from a fluid collaborative process with the Anti-Recidivism Coalition (ARC) in Los Angeles and has grown into a multi-layered initiative, involving more than twenty community organizations. It finds its connectivity and resonance through engagement with ARC, Prisoners Reentry Network, William James Association's Prison Arts Project, Community Works West, Youth Speaks, Young Women's Freedom Center, Actors' Gang Prison Project, Project Paint, Insight Garden Program, San Francisco Conservation Corps, Project Rebound at Fresno State, Revolutionary Scholars, Social Practice Arts Research Center at UC Santa Cruz, Creative Visions, Montalvo Arts Center, Fort Mason Center for Arts and Culture, California Lawyers for the Arts, Maricopa Reentry Center, and Avenal Donovan and San Quentin state prisons, and others. To all of you, we offer our sincere gratitude. The Golden Gate National Parks Conservancy is looking for enthusiastic individuals to join the Art in the Parks’ team as Volunteer Art Guides for Future IDs at Alcatraz . The Parks Conservancy is looking for enthusiastic individuals who have a passion for art, an interest in supporting those impacted by the prisons system, and a desire to share stories and raise awareness of the reentry process through the Future IDs at Alcatraz exhibition.